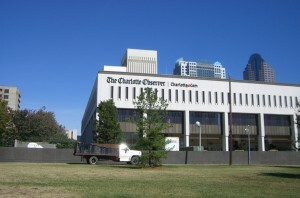 Lincoln Harris, a Charlotte-based real estate development firm, just finalized their deal on the first section of the Charlotte Observer headquarters building for $11 million this past Friday. The deal included 5 acres of the site from the Panther’s stadium to South Church Street. The remaining 9.4-acres of the Observer site is set to close by May 2. Once the purchase is complete, it will officially be the largest developable tract in Uptown Charlotte. They still haven’t released plans yet as to what will be built on the site. 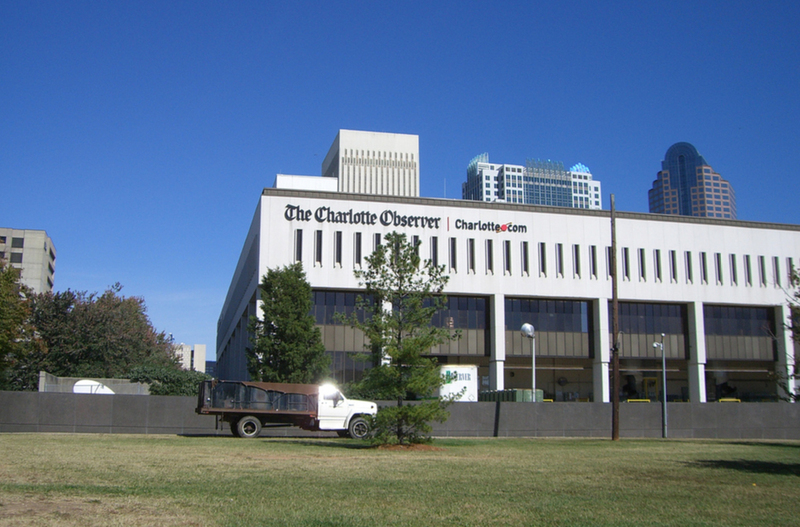 The Observer announced in January that they were moving out of their original 360,000 sqft building, a space they’ve occupied for 44 years, to move into 3 floors of the NASCAR building (a little under 70,000 square feet).